Posted by Lisa at 9:04 a.m.
February 7, 2007 at 1:30 p.m. I love how peaceful deer are. Is this from your yard? Great photo. Happy WW! February 7, 2007 at 1:52 p.m.
February 7, 2007 at 4:49 p.m. Yes, your yard does look like mine! 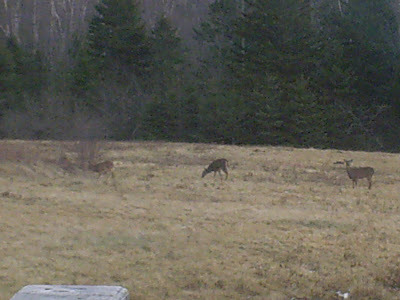 We have several deer that live in the field behind the house. As the winter progresses, they come closer and closer to the house in search of food. February 7, 2007 at 4:59 p.m.
don't you just love having the deer around?! 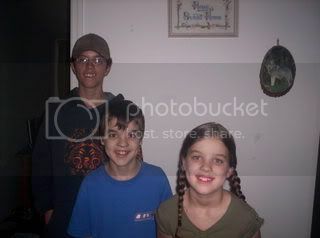 February 7, 2007 at 6:42 p.m.
That is a great photo. We have a few deer that come up on the side of our property. February 7, 2007 at 6:47 p.m. I'm not exactly the outdoorsy type but that is very pretty. February 7, 2007 at 10:42 p.m. I live in the woods and love deer. Pretty. Thanks for visiting my spot. February 8, 2007 at 1:14 a.m.
Awww... how beautiful. When we lived in upstate NY, we had deer that would come up to our front door and eat seeds from our birdfeeders. lol You are truly blessed to be able to enjoy those creatures so close by. February 11, 2007 at 4:53 p.m.